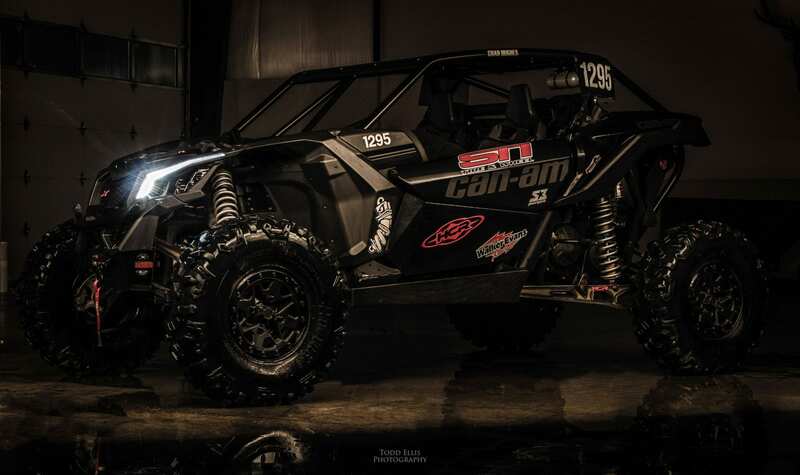 Can-Am is the “official UTV of ULTRA4 Racing.” This two-year agreement includes the title sponsorship of the UTV portion of the 2017 Can-Am King of the Hammers (KOH) off-road race in California, and the entire ULTRA4 UTV racing series. The 8-race series is held in the United States. 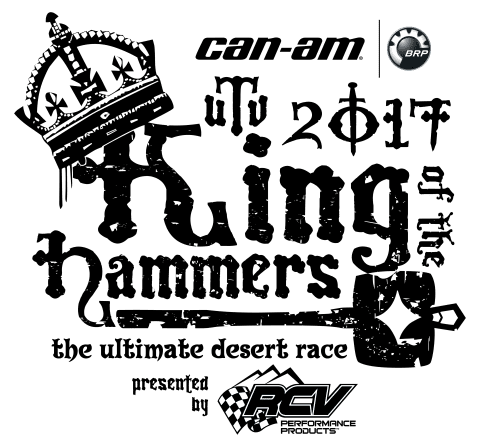 The 9th Annual KOH race is scheduled for Wednesday, Feb 8, 2017, during the King of the Hammers week, which started last Friday. 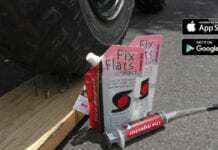 The season concludes with the ULTRA4 National Championship in Reno, Nev. 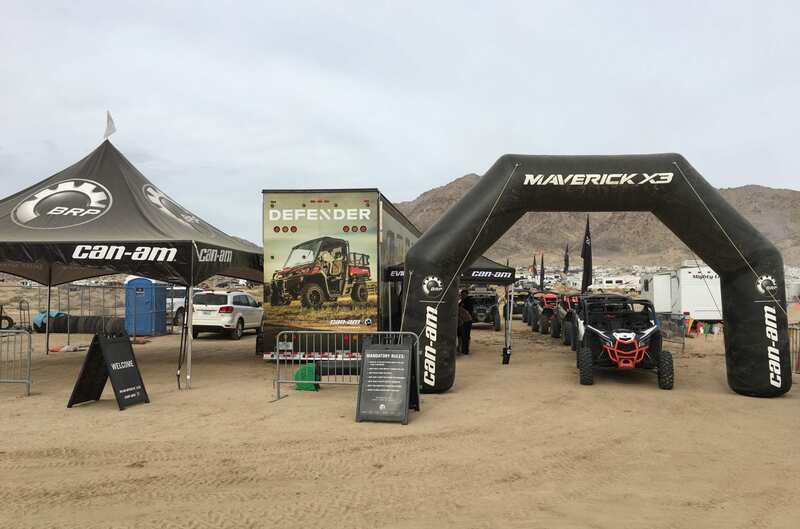 The Can-Am King of The Hammers UTV race starts at 8 a.m. and ULTRA4 expects more than 70 side-by-side vehicles to enter. 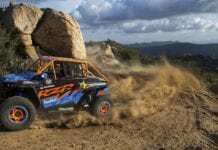 According to ULTRA4, the race is widely regarded as the toughest, one-day off-road race in the world, as it combines high-speed desert racing with super technical rock crawling. Side-by-side vehicles qualified for the race on Saturday, Feb. 4. You can catch live coverage of the 2017 Can-Am King of the Hammers race at www.ultra4racing.com/live. 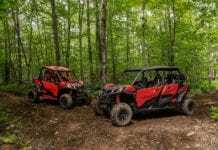 MORE INFO: Can-Am will take over each event by branding several of the course’s hardest obstacles, the event entry area and, of course, the start/finish line for the UTV portion of the race. A Can-Am activation/hospitality region will also be created for each event on the schedule. 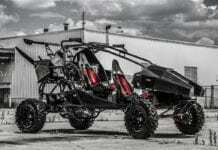 The KOH staff will use Can-Am side-by-side vehicles for its race-day support activities. Part of this agreement includes social media promotions as well as TV spots and digital broadcasts. 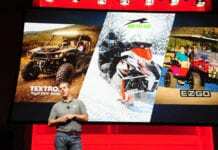 In addition to its sponsorship agreement, Can-Am will also field official Maverick X3 side-by-side racers to compete in the Can-Am KOH UTV race and the ULTRA4 series. Those racers include Casey Currie, Cody Currie, Kyle Chandler and Chad Hughes. As well as the KOH UTV race logo.